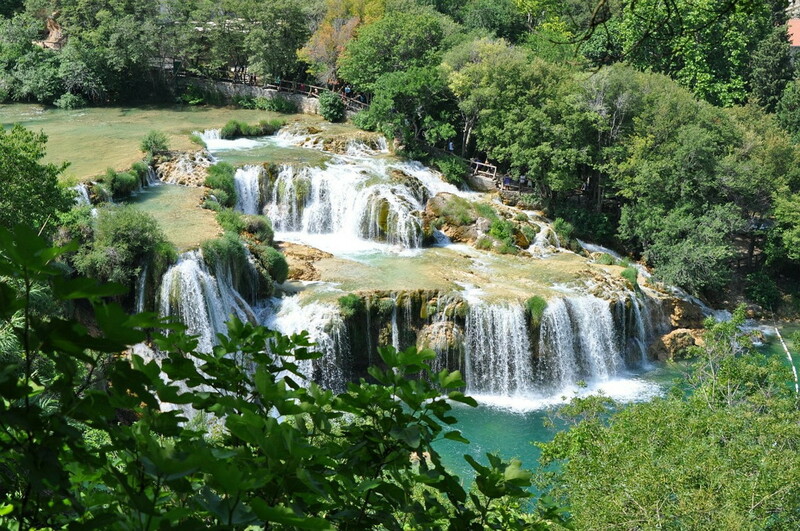 You just can not stop in Zadar and not visit stunning National Park Krka. We might call it the Magnificent Seven: Bilušića buk, Brljan, Manojlovac, Rošnjak, Miljacka slap, Roški slap and Skradinski buk. 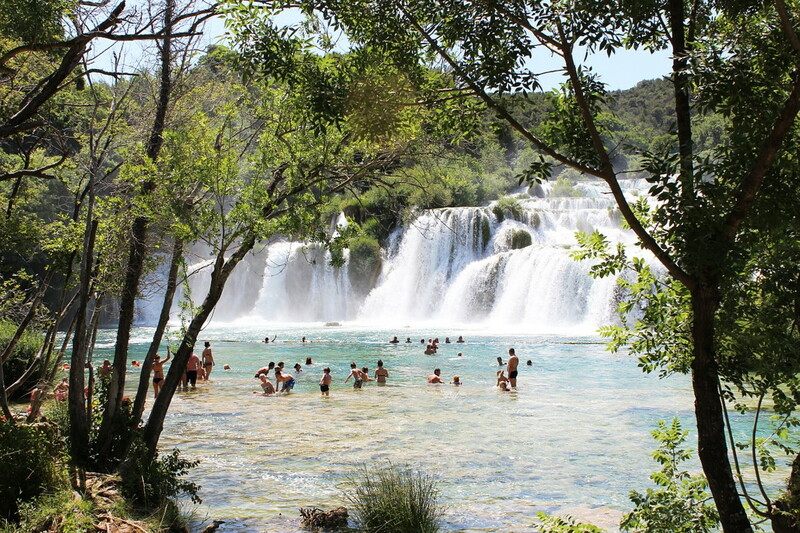 They are the cascades of the Krka River – for many, the most beautiful blue line of the Dalmatia. 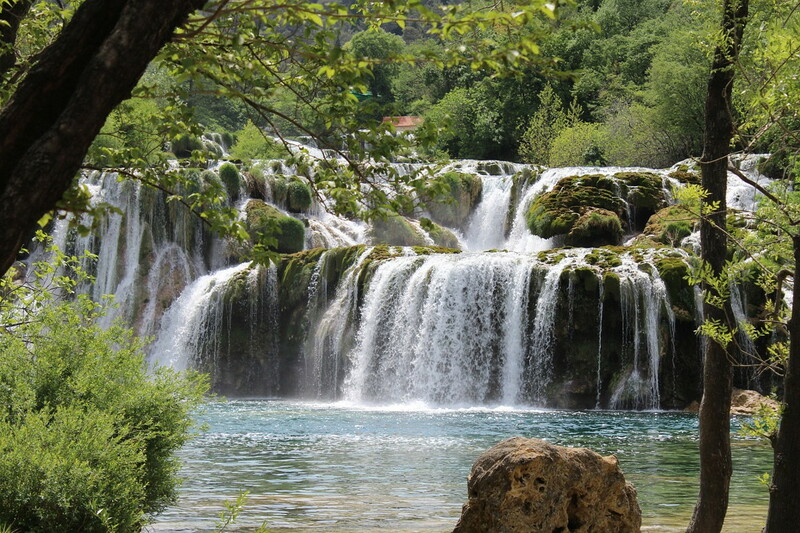 They lies within Šibenik – Knin county and covers a total area of 109 km2 of the loveliest sections of the Krka River. Their natural beauty and crystal water will stop your heart for a second. Let your mind be blown by this unaffected fairyland. We guarantee that whichever choice you make you won’t feel disappointed. 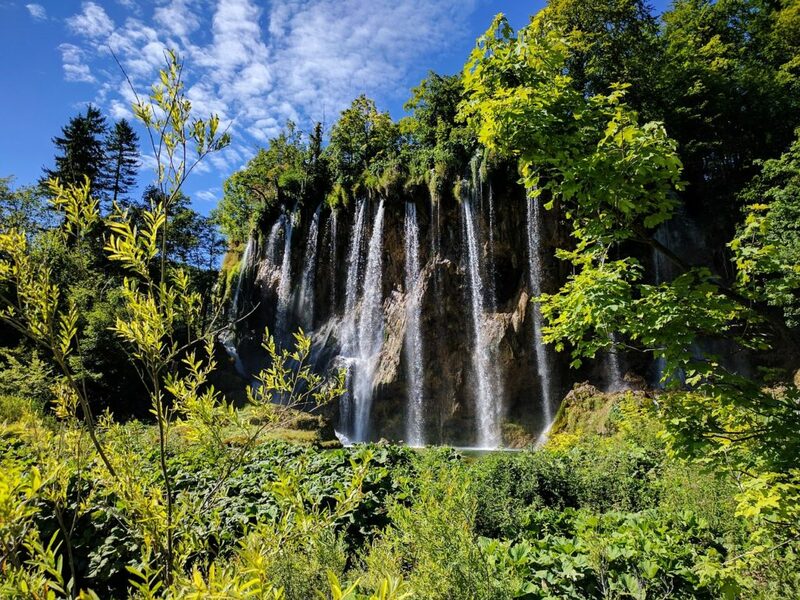 If you choose of one-day excursion trip into the famous national park of the Krka, which is classified at the world inheritance of UNESCO, you will see, among all other natural beauties, seven bigger and few smaller lakes, gradually lined up and linked together by innumerable cascades and waterfalls. While walking, you’ll hear the musical symphony of birds, see various bird and plant species, and learn from your local guide as he provides stories and information about the intriguing legends, fascinating history, and captivating culture of the park. 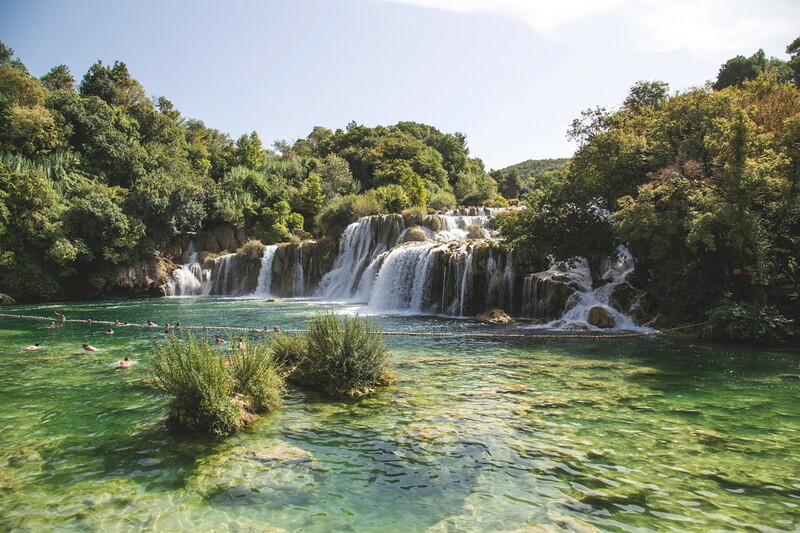 With its seven waterfalls and a total drop in altitude of 242 m, the Krka is a natural and karst phenomenon. Also, bring your camera – these are the views and adventures to remember for a lifetime. A child under the age of 3 years old is travelling for FREE! 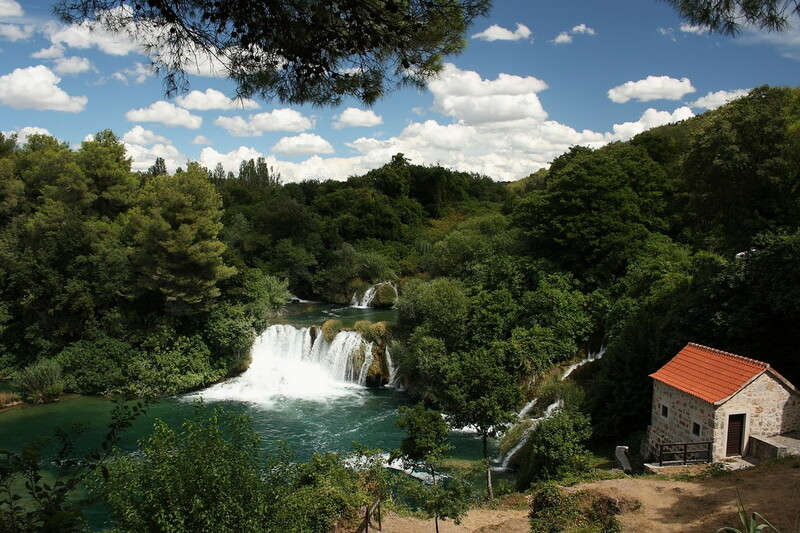 Once we arrive we are heading to Ethno village & Nature of Krka. 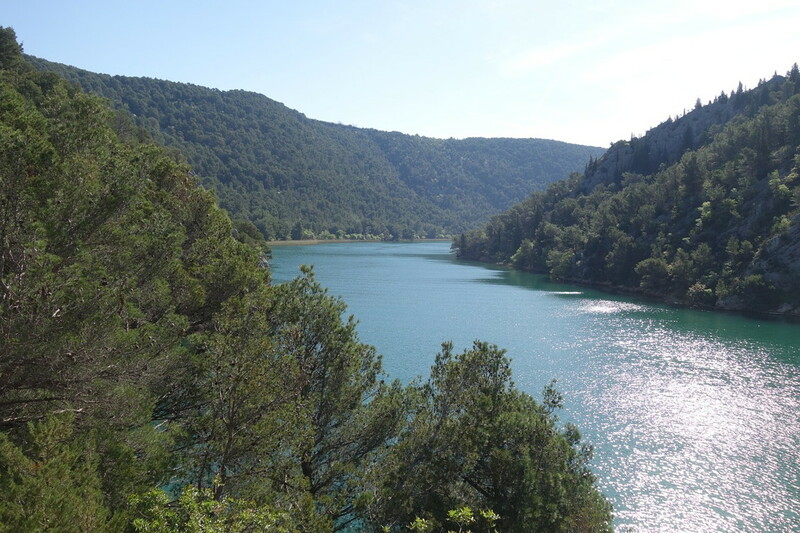 Heading south to town of Skradin from Krka Park. Organized launch in Skardin restauraunt. 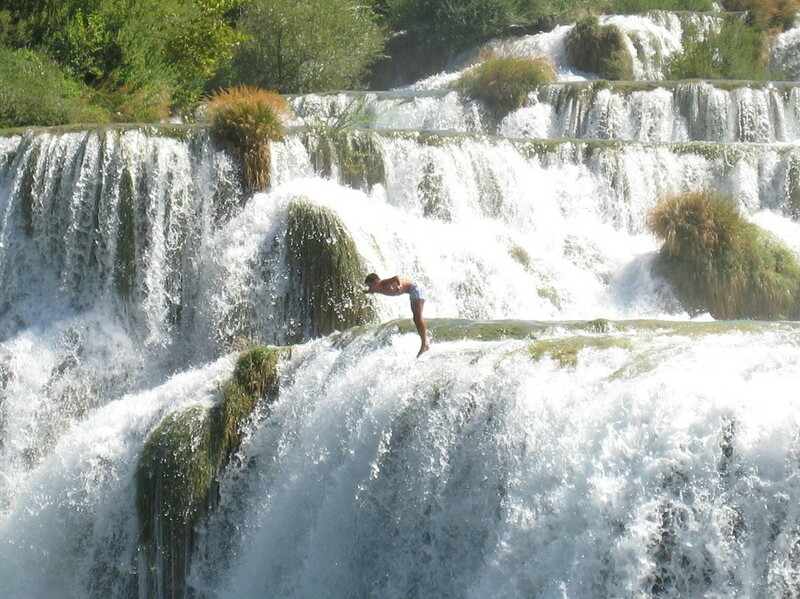 If you like waterfalls then you will be blown away with Krka. It’s something hardly imaginabile. Take your time to go all the way. 8 hours is not enough. Food was super delicious, it was to cold to swim when we were there but the water was so clear ,Also the boat tour from Krka to Skardin was included in the entry price which was great. Go as early as you can as all the tourist groups swamp the place .